Oh, my! If I had to describe 2013 in words, in a blog post, I just couldn't. Thankfully, there are photos! Probably too many of them, but I am so grateful for each and every one. 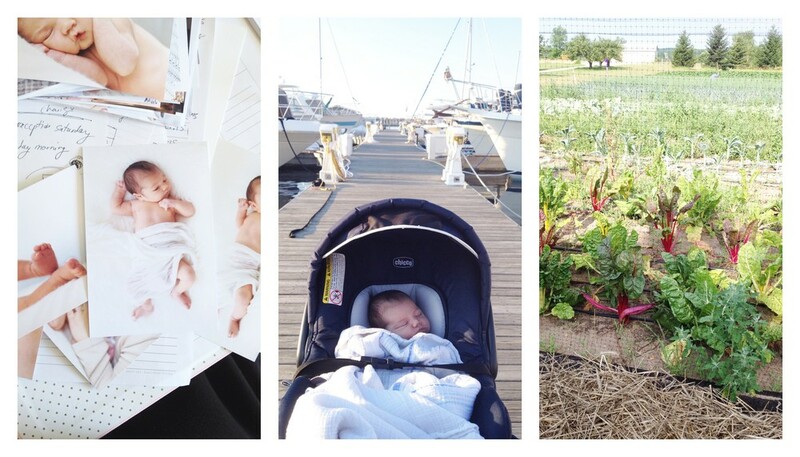 In January, my main focus was work and pregnancy. Actually, that was the theme of the first few months of the year! Isaiah was working late evenings (usually until 11pm or later) and we only had one car. This meant that I spent a lot of time at home alone after work, or dropping him off and picking him up! I started going to pre-natal yoga on Monday nights which was relaxing. I took plenty of naps. We had just found out the gender of our babe, so I also spent lots of time day dreaming about our little man! I started blogging more regularly, and worked hard at building my business and preparing for Amy & Jon's wedding day. February was a lot of the same! Continued to drink too much coffee for a pregnant lady, dredging through the snow to a job I didn't love (at all), but saw the value in. My in-laws were in Mexico, so we were missing them. Overall it was a lonely month to be honest! I slept a lot. But we did work on my office, go out for Valentine's Day, and I spent time working on my floral design. In March and April, I was SO pregnant! At least it felt that way. :) I took a childbirth education class and devoted a lot of time to preparing for motherhood. I enjoyed a few baby showers and visits from family! It was quiet... I knew that the next few months would be bringing radical change so I did my best to slow down and live in the moment. Nesting kicked in majorly- I was an organizing and list making machine! I loved feeling Rowan kick and move. We took baths a lot. 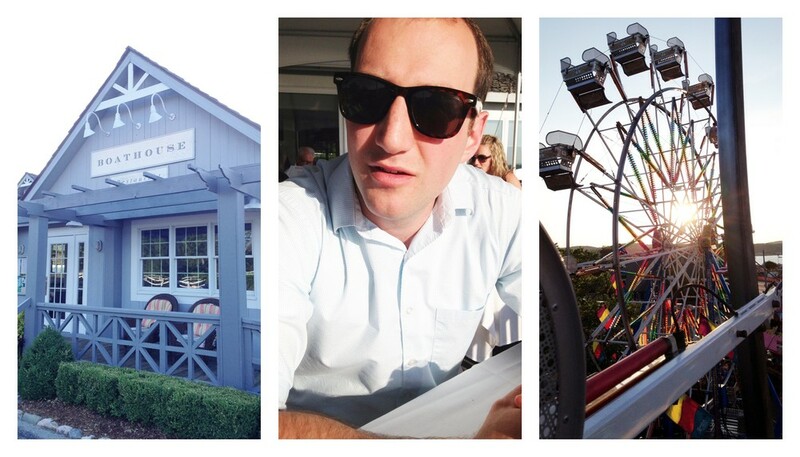 May was a month devoted to Amy & Jon's Wedding, my last month of work at the bank (!!! ), and just living with that huge belly! I remember being so stressed about my pregnancy during this month. I tend to focus my energy on things I can't control (working on it) so this doesn't even surprise me. Rowan was always happy and healthy throughout my whole pregnancy and for that I am so grateful! This month, my in-laws visited and we finished my office and had a huge cooking weekend to freeze meals for after baby. It was the best. After Amy's incredibly fun and beautiful wedding, I found out that my dear friend Nicole was getting married... in JULY, and she wanted my help. Well, being the way I am- I said why not! 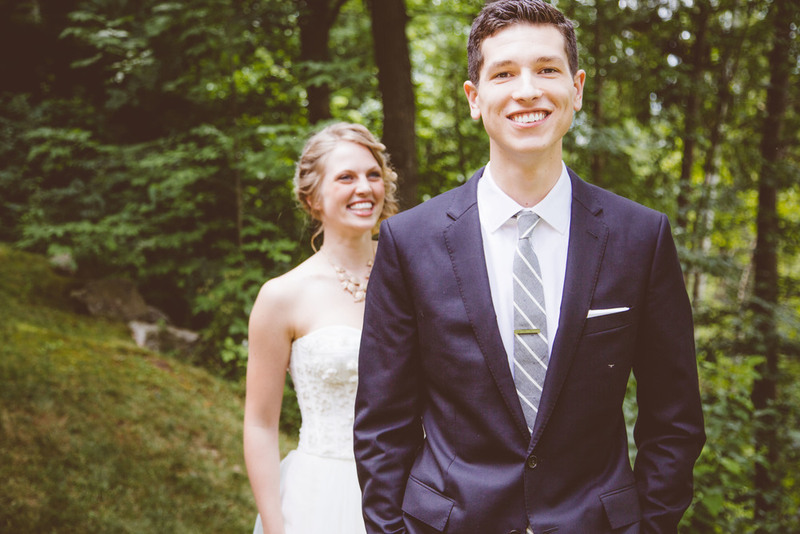 Her and Tyler came up north over Memorial day to essentially plan their whole wedding. We walked, I prayed that labor would start early, and was counting down my last minutes of work at the bank. Eventually, I was done with work! It was two weeks of impatiently waiting, but when Rowan arrived a week late, it was worth every single second. His birth was incredible and without a doubt the most amazing moment of my life. You can read more about Rowan's birth here. In July, Rowan's newborn photos came back and I was obsessed! I think they are everywhere on the internet now. I don't care. We went on lots of walks downtown, met up with friends, and enjoyed summer in Northern Michigan! We worked at our community farm, too. It was fun to take Rowan to the beach for the first time at Good Harbor Bay! Before I knew it, It was the end of the month and time for Nicole's wedding. Rowan and I packed up and headed down to Flushing, Michigan where we spent days arranging flowers and coordinating the whole weekend. After the wedding, we spent lots of time enjoying summer. We started hiking, I got some alone time (aka drinking coffee and browsing Pinterest at Oryana), and took too many (but still not enough) photos of Rowan. We met up with Krista and Elizabeth a lot and walked downtown. It was the best ever to have friends with babies! We went to our local Breastfeeding group on Mondays, too. It was so much fun when Madison and Gwendolyn were born! 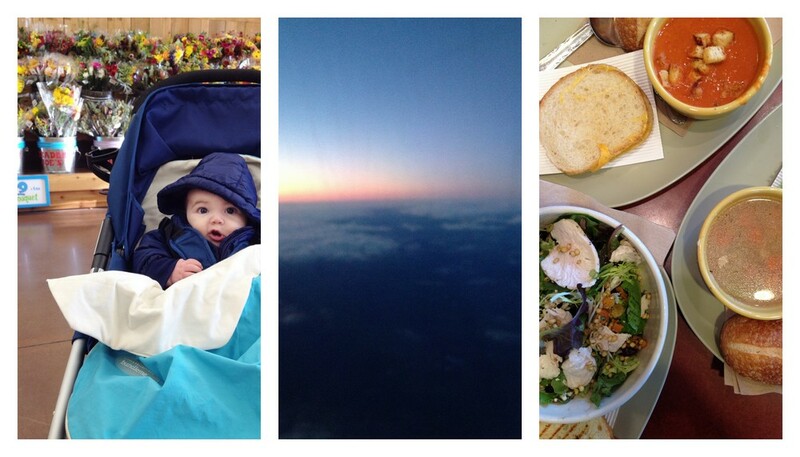 In August, Isaiah turned 29 and the next day we took off for a week long trip to Minnesota. We spent precious time with my family, especially visiting with my Grandpa at the lake. Ro got to meet some new faces and it was the perfect week for us all to just relax. We ate burritos, shopped, swam in the lake and looked at old photos. After that trip, I got very tired and anxious. I was worried about finding a part time job, probably not sleeping enough, and missing Isaiah since he worked so much. As you can see- I was very tired. But I still made time for this photoshoot, played with flowers, went to church, and ate brunch with my family on Sundays. It was a trying few weeks but when answers came and prayers were answered... even more amazing things started to happen. My Northern Michigan Styled shoot was featured over here, and I officially launched my website! I got back into blogging and started working harder for my brides. In one month, I booked six incredible weddings and feel so blessed to be a "Work at home mom". It's been challenging to find a balance, but is something I'm working on every day. Through the fall we continued to get produce from our magic CSA box that we pick up every Monday. We had fun cooking and trying our best to eat all the tomatoes! We transitioned Rowan into his crib and I started exercising more regularly. Rowan loves the Moby wrap and his stroller. His favorite thing was meeting up with Madi & Gwen to go for walks and coffee! I started the Postnatal Project with For the Glow and worked out daily and started up my green smoothies. Rowan was still nursing strong and learning new things every day! In November, I turned 25, visited my family in Minnesota again and hosted Thanksgiving. It was a really busy month but full of love and the things that matter. Rowan and I flew solo (he was great), we shopped at Trader Joes, visited with my extended family, ate at Panera with my mom and sis, and just hung out. It was nice to have a week with my parents! When we got home, Isaiah and I hosted Thanksgiving at our house. Rowan started eating simple puree and enjoyed an apple, parsnip and pumpkin smoothie for Thanksgiving! My mother in law and I had fun decorating for Thanksgiving and setting the table. And before we knew it, it was Christmas. Last night and this morning have made my heart so full. Just the three of us this year, cooking coq au vin, watching Home Alone and playing with Rowan's new toys. If I could sum up the year in just one word- it has been a year of faith. Faith in God, in the future, each other, and ourselves. We have gone through seasons of life that we just didn't know how in the world it would be okay, or work out. Somehow, under God's overflowing grace, we are happy and blessed beyond measure. I can't wait to see what 2014 holds! On new year's eve, I will be posting the next letter to my future self. I get goosebumps just thinking about it! Merry Christmas, all! Hugs from us!